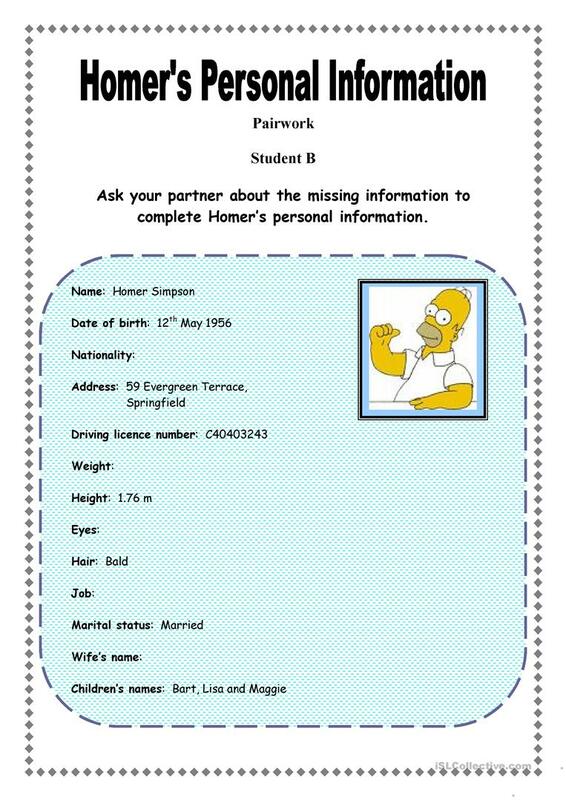 Sts work in pairs to complete a form with Homer SimpsonÂ´s personal information. Good for revising personal questions, spelling and numbers. This downloadable printable is best suited for business/professional students, high school students and elementary school students at Beginner (pre-A1) and Elementary (A1) level. It is aimed at consolidating BE (auxiliary verb) in English, and is a valuable material for improving your students' Speaking skills.